A zany twist on Bolognaise and Spring Rolls are a delicious easy meal or a snack and even taste great the next day cold with dipping sauces. add your olive oil to a large hot fry pan heat and brown your onion and capsicum. Add your mince meat and cook until brown and tender. Grate your zucchini and carrot and add to the mixture Stir until tender. Add the frozen peas and parmesan and salt and pepper to taste cook until tender add the sweet chili sauce. Finely chop the Chinese cabbage add to mixture until it softens and reduces. let simmer on low until all ingredients are combined then remove from the heat and let cool. 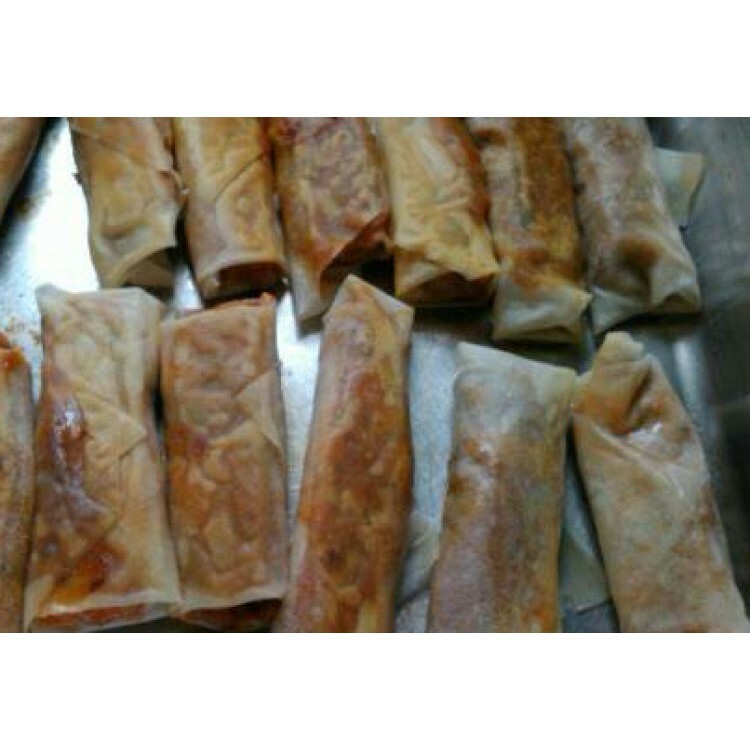 take your spring roll wrappers out of the freezer and thaw. when soft peel each layer of wrapper apart and individually place a heaped tablespoon of the mixture into the corner of the wrapper roll and fold the corners in and continue to roll until completely rolled up. set aside and continue until all the mixture is used up. heat some olive oil in a pan and place the made BOLOROLLS flat into the oil and cook until wrapper is sealed and golden brown . Turn over you may need to use a flat spatula to do this to avoid breaking the roll. Once they are sealed you can use tongs to maneuver the rolls in the pan. Continue to cook until all rolls are golden brown remove from the pan and serve while hot with your choice of dipping sauce/ sweet chilli sauce / soy sauce you can be creative with sauces. Love finger food and dipping sauces for the festive season. Love the name…Bolorolls – very inventive! Thanks for the recipe too – love hot rolls with different and tasty fillings.